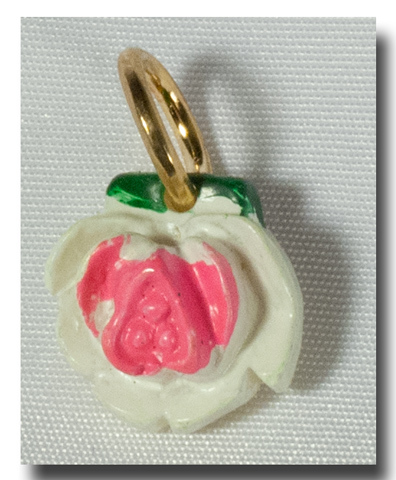 Such a pretty white and pink rose medal with the face of the miraculous medal glued to the reverse side. 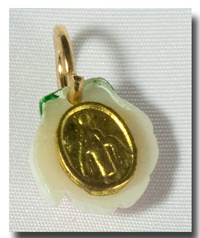 The miraculous medal on the back is in the gilt (gold-tone) colour and the jump ring is as well. It measures 3/8 inch (without the jump ring), and is very light weight. This is one of those special medals for a bracelet, a watch or better yet, a rosary bracelet!